I came across this rooster at Niese’s Maple Farm back in June, 2003. To me he looked rather annoyed (or maybe all roosters look like that?) – like a prisoner waiting for his opportunity to escape. I couldn’t figure out a way to avoid the chicken wire. If he’d been farther back I might have been able to blur it out, but he was right next to it. 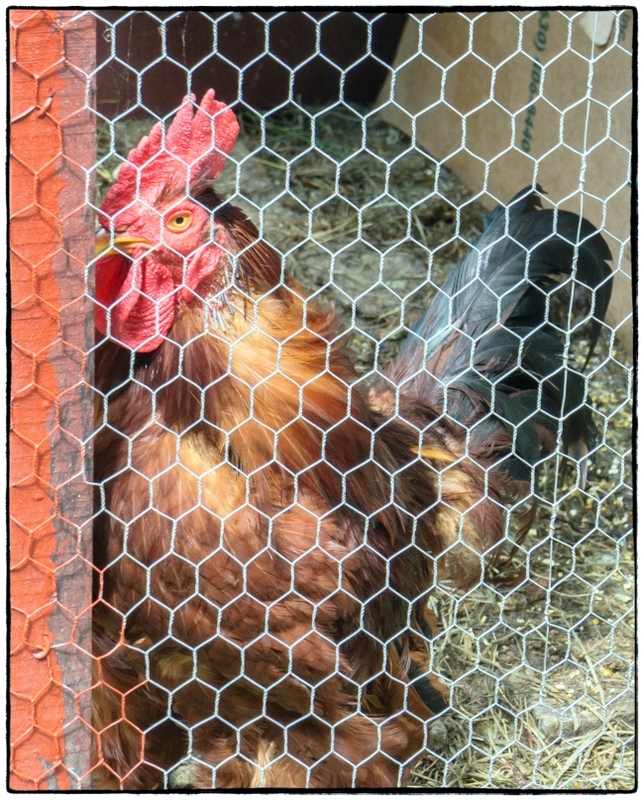 So the best I could do was to use the chicken wire to frame his eye. Taken with a Sony NEX 5N and 18-55mm kit lens.